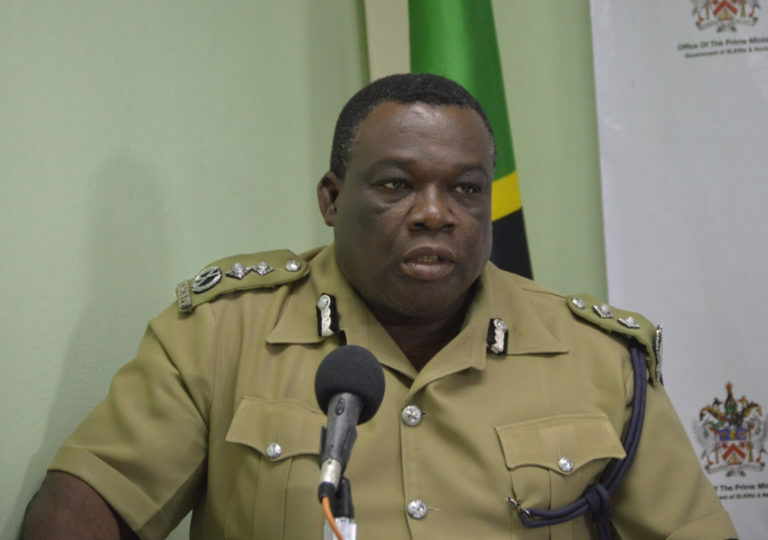 Acting Commissioner of Police, Hilroy Brandy will continue in his position. BASSETERRE, St. Kitts –- Deputy Commissioner of Police, Hilroy Brandy, continues to function as the acting Commissioner of the Royal St. Christopher and Nevis Police Force, while Commissioner Ian Queeley continues to draw down on his extensive vacation leave. In October of 2018, Brandy was invested with the full powers of the Commissioner of Police on a temporary basis to ensure that public safety operations continue seamlessly in the absence of Commissioner Queeley. Prime Minister and Minister of National Security, Dr. the Honourable Timothy Harris, used his monthly press conference held Jan. 16, commended Brandy on the job he has been doing to date as acting Commissioner. The absence of Commissioner Queeley is part of a broader programme implemented across the Police Force that will see members of the High Command draw down on their substantive accumulated leaves. Prime Minister Harris previously stated that this programme of drawing down on extensive vacation leave extends beyond the Police Force and is one that will affect the entire Civil Service.